This week's One Layer Wednesday challenge is hosted by Heather. The challenge is to stamp on the border of your one-layer card. In honour of Heather (the Queen of Sponging), I stamped, masked and sponged. You may notice that this long Papertrey sentiment seems to have worked out perfectly. (If you look at the end of the each line of text and the beginning of the next, you'll see that they match up). One of you will think that I planned this. I wish I could say that I did. Or maybe I just have a super-subconscious mind that can do amazing things even when I'm not thinking about it. But I only noticed it after I uploaded the photo to the blog, so I'm pretty sure it was just plain luck! That's ok, I'll take it! I have lots of "favourites" amongst your cards but this is going to have to be another - simply perfect design. Would make great card sets. Oh goodness...the inking is so simple yet so bold at the same time. I love it Ardyth! Fantastic, love your rainbow sponging! Only you can make something so simple look so wonderful. Great card - so you! I do like the rainbow borders! Have you ever looked within the mirror and questioned what was missing? and you are sporting freshly polished footwear, but something is off. The solution is most likely tag heuer outlet cabazon. This is classic Ardyth; your lines are clean and even, your words perfectly positioned and your colours bright and cheery on your white background. Love it! I'm sitting here in awe of the straight lines to say nothing about the words matching up! I shudder to imagine how full my trash bin would be if I tried that! Great card, Ardyth! Wow, another amazing card Ardyth. You are so stinking creative. Good to be lucky, and lucky to be good! 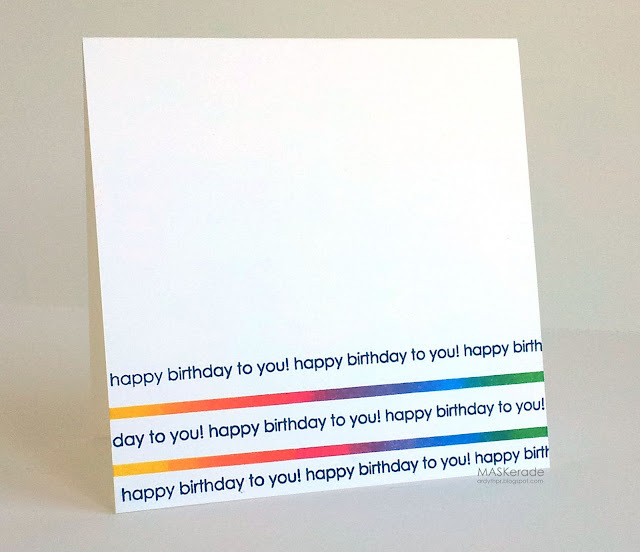 Either way, this card is so perfectly executed that there is only one person that I know that can accidentally make it perfect...and that would be you! Beautiful sponging and flawless stamping. Something we all have become so familiar with from your projects and are so fortunate that you share them with us!